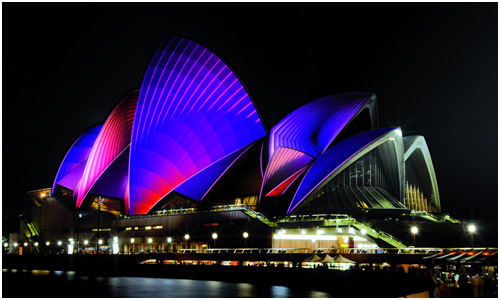 Vivid Sydney, Sydney’s third annual festival of light, music and ideas begins this Friday evening with the lighting of the sails at the Sydney Opera House. The event’s curator, Australian music promoter Stephen “Pav” Pavlovic, has selected French digital projection artists Superbien to bring the sails alive each evening. 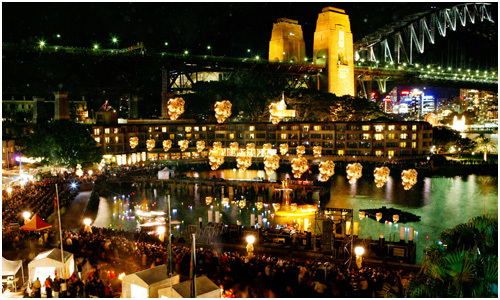 We were there the first year of the Vivid Sydney Festival and it was definitely amazing to watch. 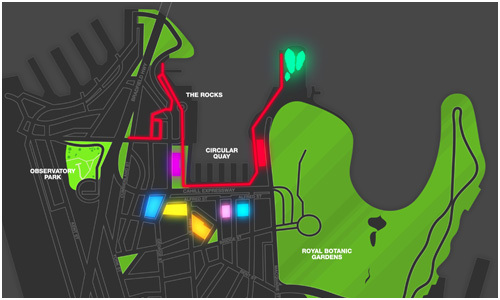 In addition to this, Fire Dance – with up to 40 jets of “dancing” flames choreographed to music – will be shown 5 times each evening at Campbell Cove in the historical Rocks district of Sydney, across from the Sydney Opera House. 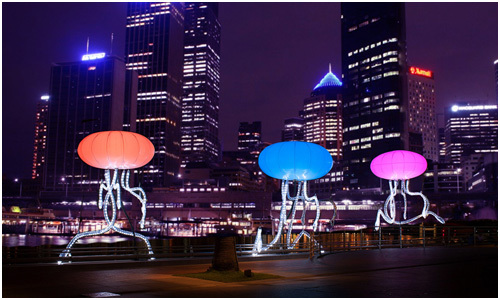 42 other lighting installations will be placed all over the Rocks and Circular Quay areas, presenting creativity from Australia and beyond in the Southern Hemisphere. This includes 24 low-energy light sculptures. 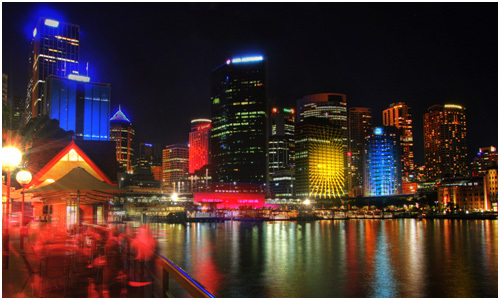 The city’s CBD will also serve as part of the lighting installation with colorful architectural lighting. 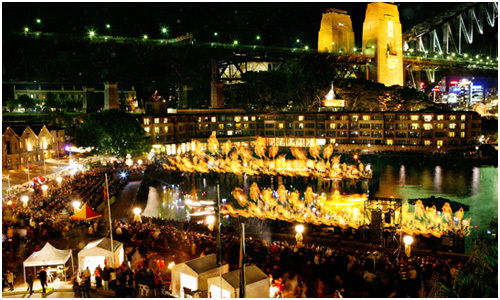 In addition to all of the lighting installations, Vivid Sydney also includes a Vivid LIVE music lineup at the Sydney Opera House including Australian and international artists such as Sonny Rollins and The Cure. Vivid Creative Sydney will host a series of panel discussions, public talks and debates at the Museum of Contemporary Art.